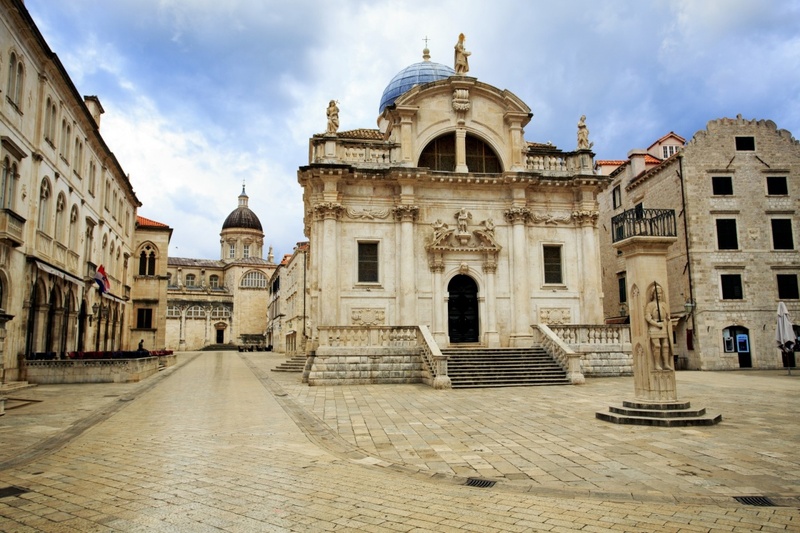 The inevitable charm and beauty of today’s Dubrovnik lies in its long and rich history. Over the many centuries of its existence, Dubrovnik has established itself as an independent, powerful and influential city. Its specific geographic position helped in the development of successful merchandising and maritime tradition. Dubrovnik has always been valued as a safe harbour, shielded by the group of islands rising in front of it, but also being intersection of the important maritime and trading routes. Its fascinating history is filled with barbaric invasions, powerful rivals and blossoming tradition of arts and sciences. It is believed that Dubrovnik was founded in the 7th century when Croatian tribes expanded to the area in attempt to hide from the barbarians. They formed a number of small settlements that gradually, over the centuries, merged together, forming a single city shielded by the today famous ramparts. Dubrovnik soon established itself as a prosperous trading and maritime center at the Adriatic and Mediterranean Sea. Despite turbulent historical circumstances, Dubrovnik fought to preserve its trading autonomy and valued independence in dark medieval times, even under the Venetian reign. The era of true prosperity of Dubrovnik begins with the foundation of the Republic of Ragusa or the Dubrovnik Republic in the 15th century. It was an independent aristocratic republic, with its own authorities (the Rector and the counsellors), currency and flag with an image of St. Blaise, the city patron. The Republic of Ragusa was the first European country to abolish slavery. The age of prosperity and well-being reached its culmination in the 16th century with the development of the maritime trade and the local merchant navy, placing Dubrovnik among the most valued trading contractors in the world. The era of financial security and development helped in the formation of a specific lifestyle in the city. A circle of humanists supported the blooming creativity resulting in magnificent artistic achievements in architecture, urbanism, poetry, literature and science. Some of the most valued Croatian and European artists and scientists lived in this period, leaving their indelible trace. Some of the most accomplished include Marin Držić, Ivan Gundulić and Ruđer Bošković. 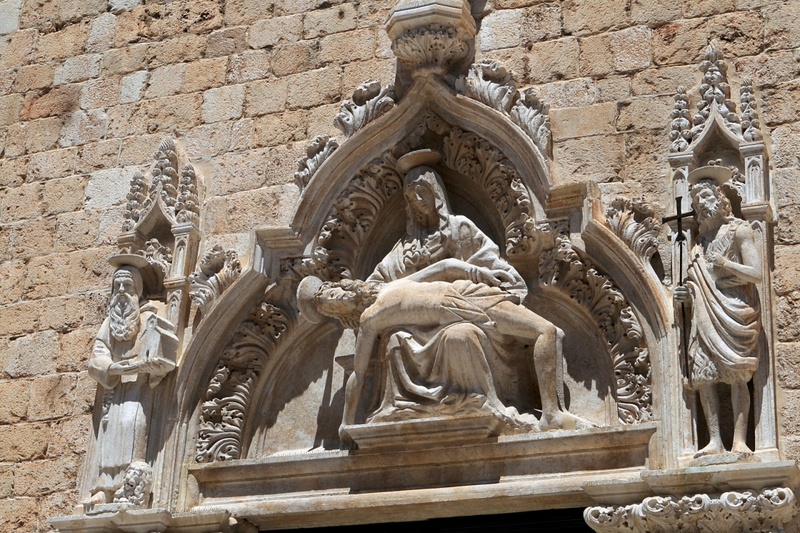 Some of the most famous buildings from that period include the Church of St. Blaise, The Dubrovnik Cathedral and the Rector’s Palace. However, the era of prosperity was replaced with the deep political and economical crisis in the 17th century culminating with the great earthquake in the 1667, which almost destroyed the city. Balancing between the wars against the Turkish Empire and the Venetians and struggling with the ongoing crisis, the Dubrovnik Republic ceased to exist in the 18th century as a result of Napoleon’s decision. It became a part of the Dalmatia, a region at the south of the Croatian coastline, sharing its political and historical destiny to the present day. In the late 20th century, Croatia declared its independence followed by the Serbian aggression on Croatian territory. Dubrovnik was among the first cities to be attacked in 1991, suffering brutal destruction and significant losses. Most of the destroyed parts of the city are today restored, preserving the priceless beauty of Dubrovnik and once again establishing it as one of the most beloved Croatian summer destinations.